DISCLAIMER: This list is specific to VA. I understand some shinies aren't quite as non-distinct as they are here, and that's fine. DISCLAIMER 2: This is based on my vision. I really just made this list for myself and decided to share it, so I'm sorry if some adopts aren't there that you feel should be. If a handful of people feel like an adopt that isn't there should be, I'll probably add it. I will not change the list to suit colorblind people, though. The site needs to do something about that. There are 3 sheets: Fresh Hatches, Evolutions, and Legendaries. I'll also change ratings if I feel a change would be justified. I kinda went zombie mode about halfway through. Just poke me or something. Plusle is the worst offender, btw. Check your boxes! Last edited by Karasume on July 17th, 2018, 8:28 pm, edited 2 times in total. Another one i have seen people overlook is panpour. because the blue is just a few shades off, when it's sitting in a box by itself it's harder to tell it's shiny. i've seen it in a few peeps trade boxes because they thought it was non-shiny. Mmm, I saw it and debated whether or not to add it and decided against it. I added Blissey, so I probably should've added Panpour. I think you missed Gothita. Great List! I have shiny Sunkern and Seel and I have to check every one I hatch to see if it is shiny or normal. That's another one I debated putting on the list but ultimately decided not to. Funny how I'm not adding these, but I added something like Blissey. I'll add that one too. Well, I have Seel. I added a mention of Dewgong in Seel's note. I didn't really wanna over-saturate the list with the same evolutions, otherwise I'd have a chunk of space taken up by Burmy and Wormadam. I feel like Kangaskhan is distinguishable. The greenish yellow head makes its color palette strange as heck, and the only things that try to pull off strange color palettes like that are shinies and Druddigon. xD I guess there are a lot that are harder to distinguish between shiny and non. If more people see Kangaskhan as an issue that I should add to the list, I'll add it. I don't think it's hard to tell apart alone, but everyone's visible color spectrum is different. I made this list to suit me, which is why the way it is. But again, if more people say it should be added, I'll add it. ironically just saw this in the ce and had to zoom in on it to see if it was shiny. if it helps make it less cluttered, you could also do an evolved and non-evolved list. since the non-evolved pokemon are directly from eggs which makes people check them more closely. Yeah, Glichu posted it in the Congrats topic and I laughed on the inside. I wanted to make it so that a checkbox hides evolved pokemon, but Google Sheets is really dumb about simple functions like that. I couldn't make heads or tails of it. 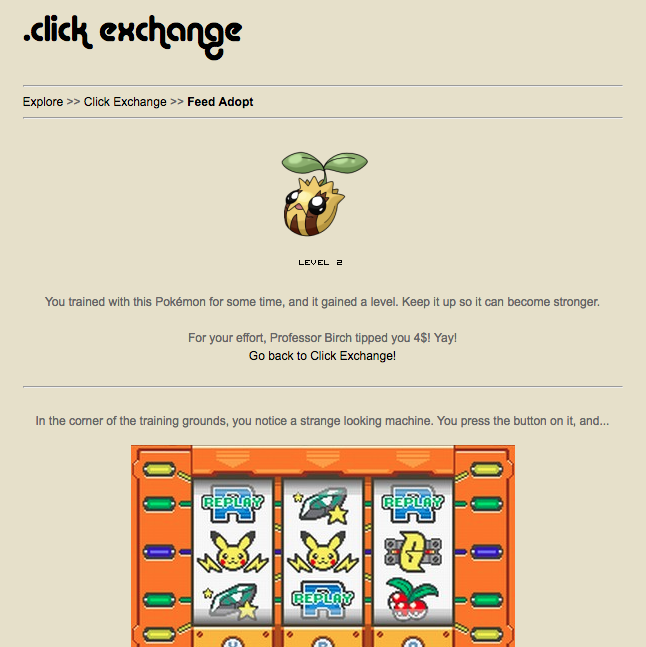 I could do it easily on a normal web page, though, as if it really matters. I could put evolved forms on a second sheet. Edit: T H E R E. It's done. There's 3 sheets now. Fresh hatches, Evoltuions, and Legendaries. I'm debating. Should I put Articuno on the list? I feel like it's distinct enough, especially being a legendary, but what do you guys think? Is there anything you'd like to point out for future reference? Right now I can't remember all the Shinys of Alola, but I think most of them are pretty easy to spot. Would it help if we would adjust the colors more? I usually work with the sprites as a reference and if these are hard to differenciate, the VA version will as well. Ooooh, UkeSora are you drawing Alolas? That would be sooo exciting! I don't remember too many, but Shiny Bidoof is one I've had trouble identifying. UkeSora wrote: Is there anything you'd like to point out for future reference? Right now I can't remember all the Shinys of Alola, but I think most of them are pretty easy to spot. Alolan Vulpix for sure. The two are hardly distinguishable from one another. 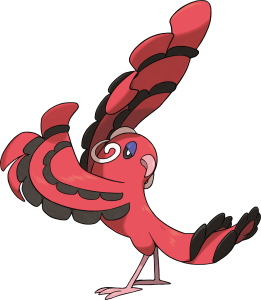 Pikipek might be one as well, if colors are accidentally shifted the wrong way. Golisopod could end up being a problem potentially, but that's kinda a Seel situation there. 49ER, only some UB are missing. These guys are.. Charming, to put it nicely. I'll look into these three once more, Karasume. I might adjust shadow color, but I think the versions we did are good. But you're right, Alolan Vulpix is hard to spot! I chained for that one in-game and I hardly saw the difference in battle. UkeSora wrote: 49ER, only some UB are missing. These guys are.. Charming, to put it nicely.